Student Finally Completes his Copy of the 1580 Gasparo da Salo Viola! 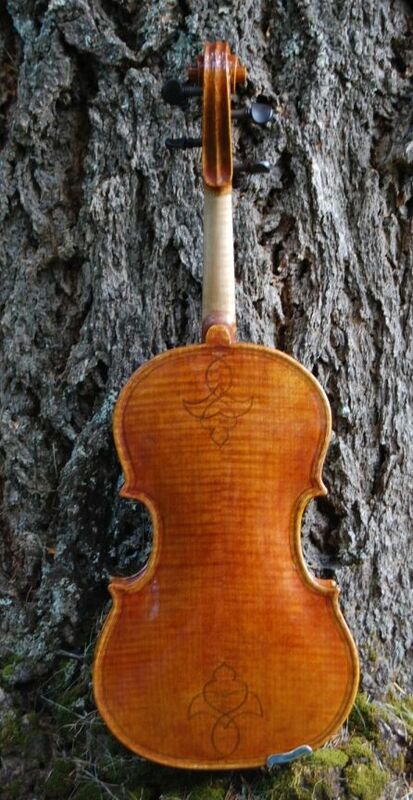 Copy of 1580 Gasparo da Salo 15-1/2″ viola finally completed. 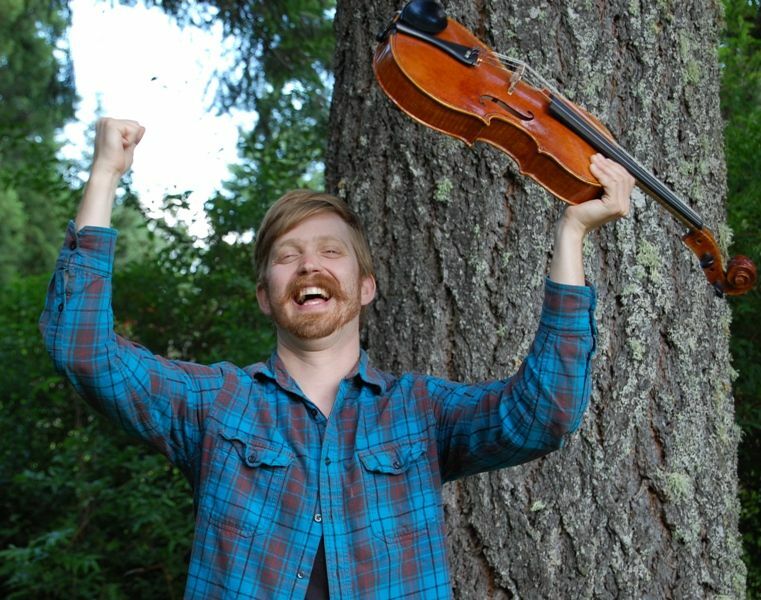 Student finally competes his viola! It took a while, but he finally pulled it off! And it sounds great, with a huge, growly bass-end and very clear but not shrill, on the treble end..well balanced, very strong, and easy to play. This young man was recommended to me by his orchestra director, eight years ago. Originally I agreed to work with him weekends and evenings for that summer. I said I thought he could complete it in 200 hours, with close supervision and diligent work…so I was volunteering weekends and evenings for 10 weeks, 20 hours a week. He agreed, and we got started.Within a week or two, I could see there were going to be glitches in the plan…he got a summer job, and started showing up at the time I needed to head for bed, as I was working a full-time job and had to be up at 4 AM. At the end of the summer, I think he had the rib garland done…maybe…and the plates traced and cut to size.So, we decided we would try again the next summer. It was even more spotty, but he got the scroll carved, as I recall. To be fair, I want to point out that the young man involved had never held a tool in his hands before– never built anything, never sharpened anything. Didn’t know what a “vise” was…etc. So this was ALL very new to him, and he made a great deal of progress over the journey. Then he disappeared for a number of months and eventually called me during a Christmas vacation and asked if he could come up and work. My daughter was home from school, and I wanted to spend time with her, so I said I was not available at the time. That time he disappeared for a couple of years or more…parts of his instrument were gathering dust in my shop, but I didn’t hear from him until the summer before last, I think. He wanted to come back and finish up…so…we started up again…Saturdays, if and when it was mutually workable. Anyhow, it finally emerged from its “larval stage” as a full-fledged viola today. 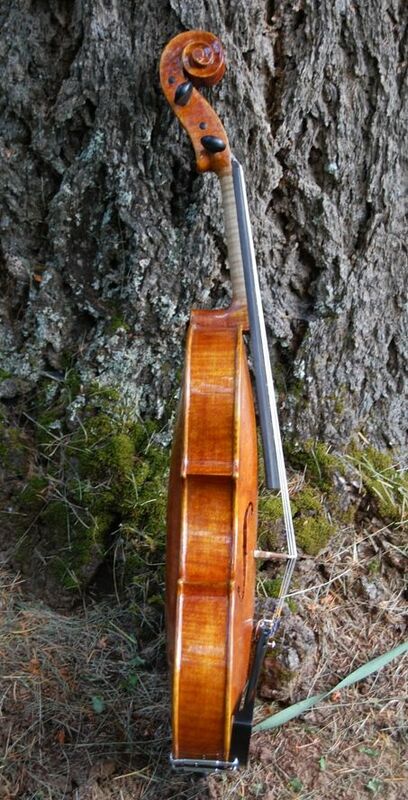 It is a copy of the 1580 Gasparó da Saló viola (a fairly asymmetrical, odd-looking instrument, but still played professionally after 430+ years), and, for a first try, not bad at all. It is quite similar to the original; I am very pleased, and, as you may imagine, vastly relieved. 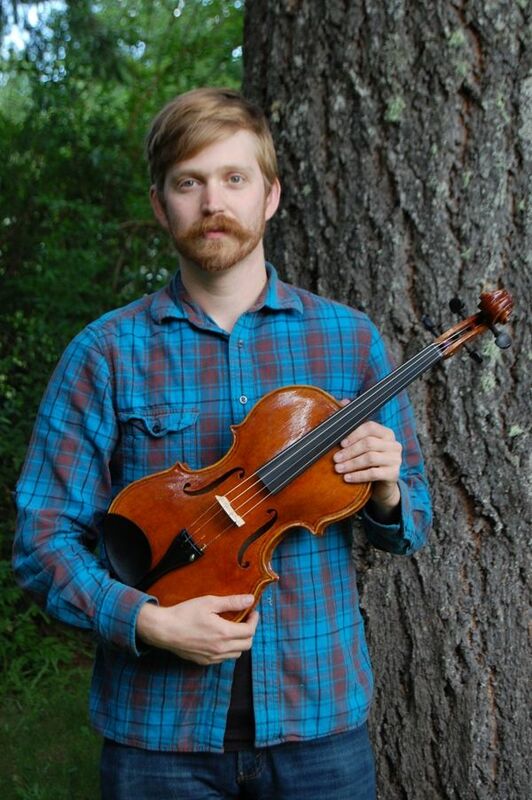 New maker with new viola . I guess he feels pretty good about it, too. I’m just tickled by this story; that’s it’s true and provable is amazing. Would the 1580 Gaspar be the one that Louis Kaufman owned? I suspect so because of the design on the back. Especially would like to know how high he made the ribs, and whether there is any downside to this. Bravo, young lutier, for conquering all the obstacles named. Your smile says it all. I believe they are right at 40 mm, if I remember correctly. I find it a bit high under my chin, but I have a rather short neck. 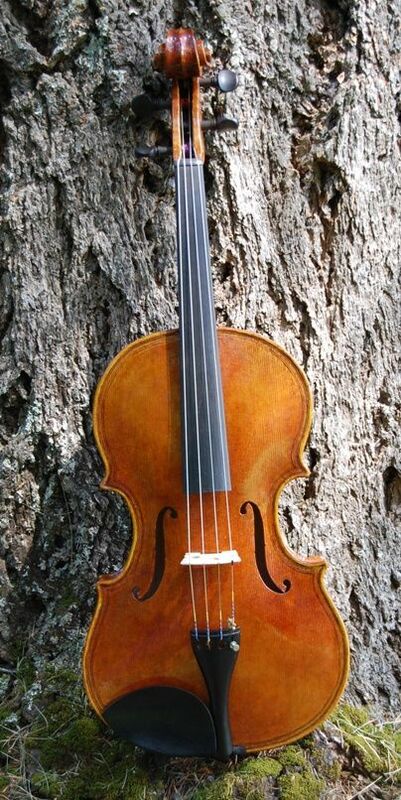 It has a great voice, and, other than the thick feel under the chin, it is very easy to play. I think we are talking about the same 1580 Gasparo da Salo. I got it from the Strad Poster. I have never seen the original, other than those photos and drawings. It would be nice if he kept building, but I don’t think that is where his interests lie. (Which may explain why it took so long…) Thanks for writing.